Fortismet are an Irish company supplying Quarry, cement, and recycling supplies. Our team have a background of over Forty years in the quarry, cement and construction industries, carrying over 4000 product lines with access to over 25000 individual parts and components on site at our 5000sq ft warehouse in Athlone Co. Westmeath Ireland. We are strategically located beside the main Irish DPD headquarters, Allowing us to ship direct to Irish customers for orders made before 8PM, meaning arrival of items to your business the next business day. We specialise heavily in Volvo construction equipment parts in both genuine, OEM and after market. We understand that price and quality is not enough unless the part is available off the shelf. Particular attention is paid towards priority parts such as turbochargers, coolant pumps, service kits, seals and bearings along with 1000's of other items for your Volvo construction equipment, By combining quality, price and availability we can offer an unrivalled service to the construction industry. We provide the biggest and the best in quarry and mining wear parts, and are able to provide a variety of wear parts to suit machine sizes from 5 ton right up to 100 ton track machines and wheeled loaders. We are main Irish distributors for the following brands. 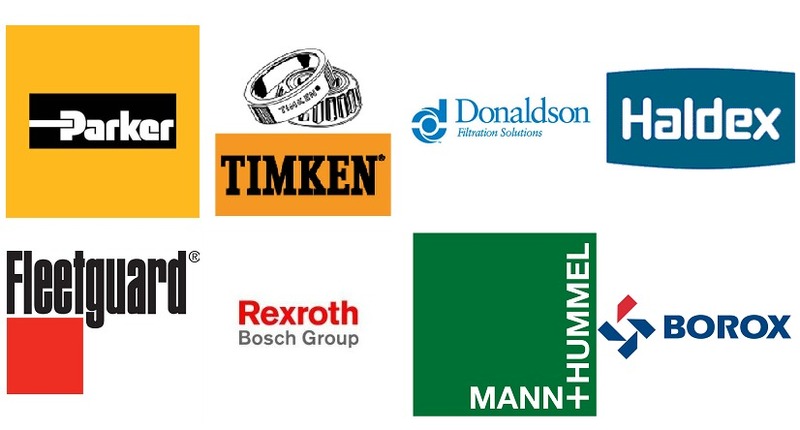 We also carry a large and varied range of construction related spares from the following leading brands which are also represented though Fortismet.